The necklace I gifted myself with is the "Love" one. But I have been eyeing the "Can I get a WhootWhoot" and "Make a Wish" necklaces! Which one is your favorite? Thank you so much for posting – I have been searching everywhere for these necklaces! I just got their ‘new beginnings’ necklace to celebrate my graduation from college and I’m already eyeing a few more! Congratulations on your graduation Mackenzie! You might just have to get yourself another! 😉 There is a code for a discount… that makes everything better. Right? xo!! 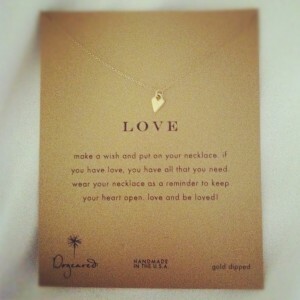 I adore the ‘love’ necklace! 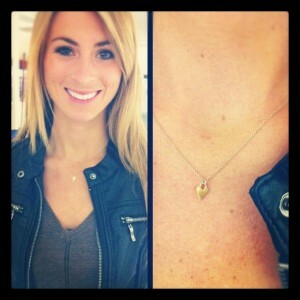 I have also been a fan of Dogeared for quite some time but have not chosen the necklace I want to purchase quite yet. Check out ‘Explore’ and ‘Make Waves’..I love the meaning behind them. 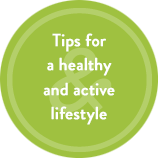 Ps This is my first time checking out your website and it is fantastic! Thanks Joanna! I will look at those Dogeared necklaces!! Glad you found the website! SO much more to come!